Delicate Designs on a Fragile Canvas. Technique that's Stood the Test of Time. Display Worthy Dyed Eggs with a Mix of Traditional Technique & Modern Pattern. Some artists will tell you that their best works just happen. Talent coupled with passion allows them to manifest their inner vision without planning out each painting, sculpture or illustration. Others employ a measured process and painstaking technique that requires time and patience to create one of their masterpieces. 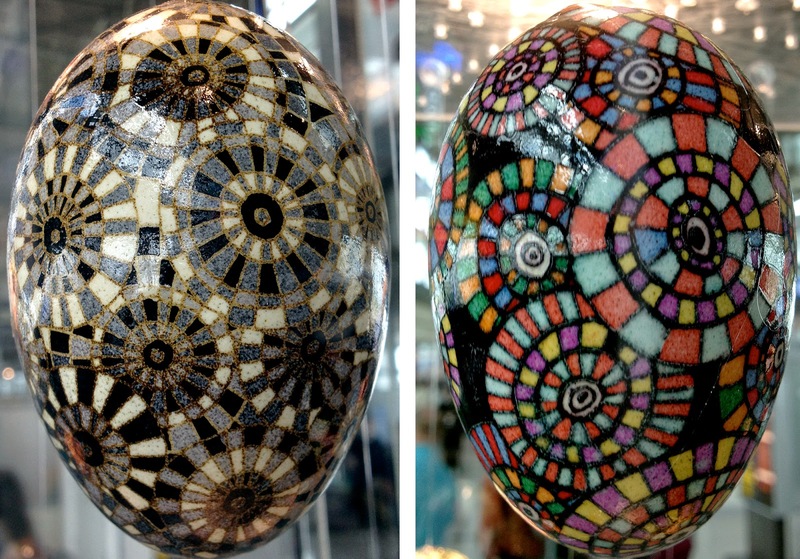 If ever there was a specialty that fit into this second category it would be Pysanky, and artisan Katy David has dedicated herself to preserving this ancient egg dying tradition that she learned from her grandmother. In my opinion, we're very lucky that she has taken a liking to this age old technique because there's nothing quite like the beautiful and delicate one-of-a-kind works of art she brings to life. 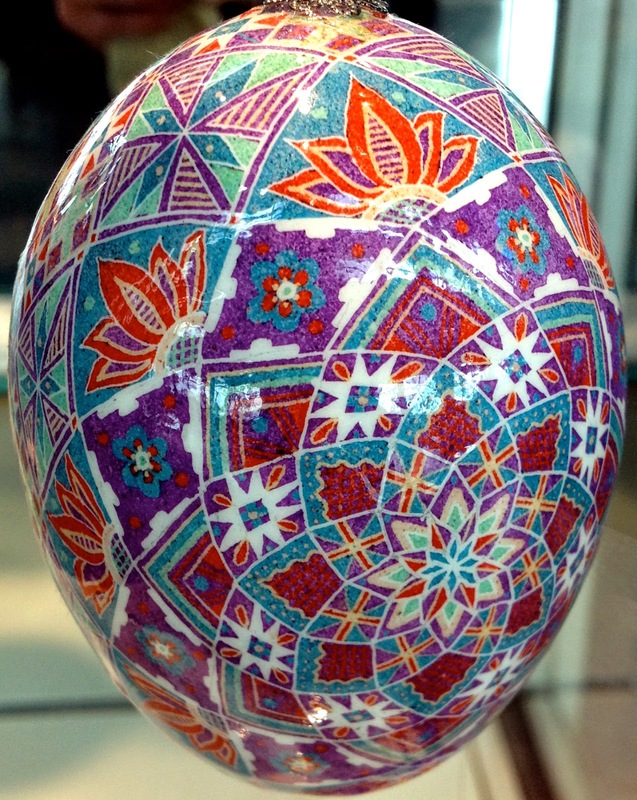 Similar to Batik, Pysanky involves layering colored dyes on top of each other, from light to dark shades, with the help of beeswax to create unique patterns. 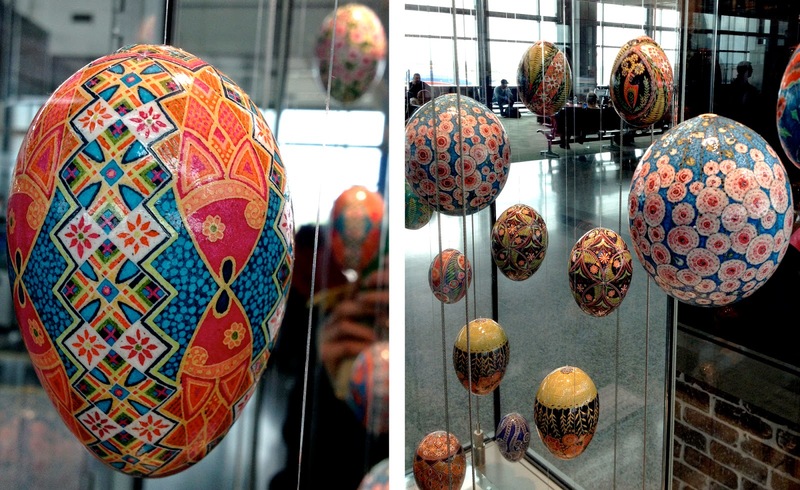 The wax is heated and then dripped on to an egg shell with a specially designed stylus that allows for incredibly detailed "writing," the original meaning of the name Pysanky. Katy David works with both modern geometric designs and more traditional motifs, finding inspiration from a wide array of countries and cultures. 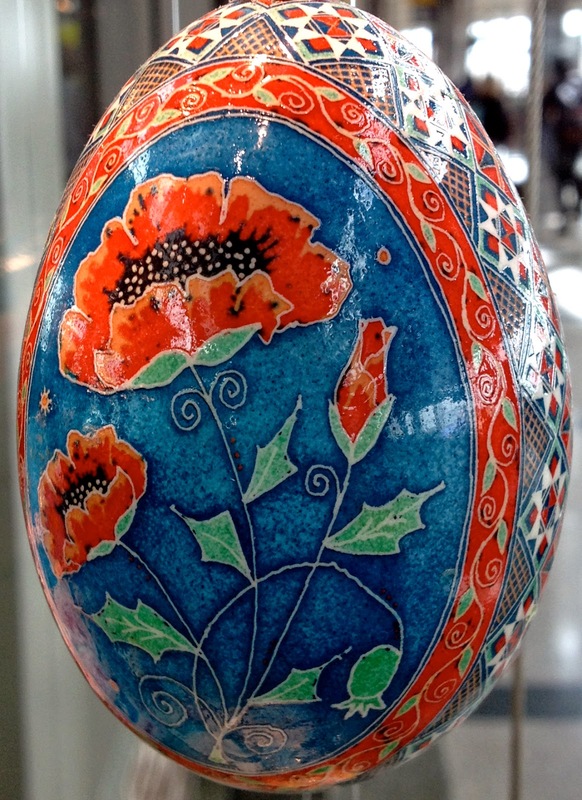 Some of her eggs feature more abstract patterns while others depict animals, flowers or even symbols, for example. What's truly the most breathtaking to me is the level of intricate detail she achieves on such a small, fragile canvas through what can be a very complicated process. Plus, her glorious mix of colors, many bold and complimentary shades, makes each egg bright and beautiful! For those of you who tried dyeing eggs as children for Easter, I bet you didn't know what was possible for those who dedicate their life to this decorative art!